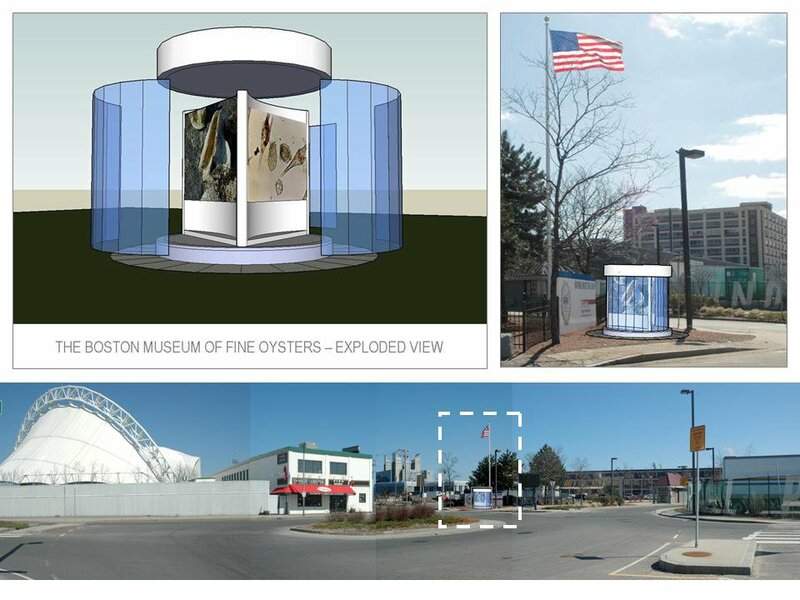 Richard Rush, the editor of the Oyster Information newsletter has submitted a proposal to the Boston Art Council to create an outdoor oyster museum in the Marine Industrial Park. It will portray the research, sea farming, and historic social value of oysters in Boston. Given their long but truncated history, and now coming resurgence the timing seems highly appropriate. To help Richard make his vision reality you can like his project on Facebook. If you are a Facebook user you can go to the Boston Art Commission Facebook page. Then scroll down the Boston Art Commission site for the entry with the photo of a globule of orange balls of various sizes exploding radially outward like frozen orange paint. And Click on the title ID ART: Temporary Art for BMIP. A grid of photos of the entries should appear. Click on any one of the images -that should get you into the slide show of the images. Once you are into the entry slide show, click to the right or left and scroll along until you see the image that says BOSTON MUSEUM OF FINE OYSTERS. At the extreme left of the image you will see a "like" button. If you click on it, you can vote for the Museum of Fine Oysters!. You also can visit Richard's Blog and take the course to become an official "Oyster Aficionado." Here is a link to the course syllabus.